London’s Crown and Anchor Tavern, haunt of many a radical and reformer. But these were just the most recent buildings that were replacing structures built during earlier periods. It was probably much as it is today, the upper middle class and wealthy living in new construction (say in Portman or Berkeley squares) while the lower middle classes, the poor, and the working classes made do in the older parts of town. 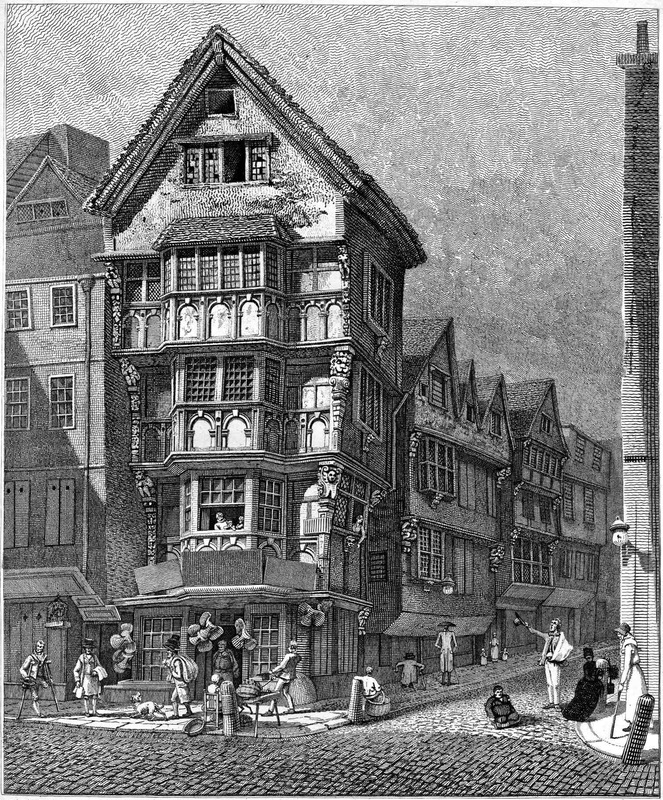 Older buildings would have had to survive the Great Fire of 1666, and a lot of the survivors were pulled down in the late 18th century. Fortunately, the artist John Thomas Smith set about preserving a record of these buildings before they could be destroyed, and the wonderful Spitalfieldslife.com has posted a whole series of them. The detail of the drawings is extraordinary, providing a fount of inspiration for this writer. 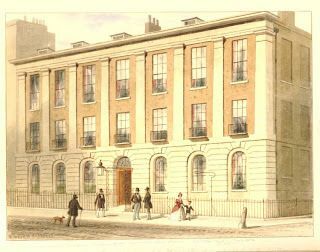 Houses on the Corner of Chancery Lane & Fleet St – Drawn August 1789, Taken Down May 1799. Click on the image, then click again to see the full detail. Many more from this series are here. Enjoy!